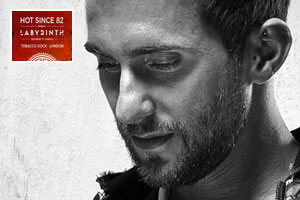 Hot Since 82 brings his iconic Ibiza party Labyrinth to London for a one off show in March. Transforming the city’s Tobacco Dock into an ancient mythical jungle, and hosting a party inspired by colour, fun and great underground music. Blending exciting new talent with some of the Balearic old guard, Labyrinth’s UK debut will give east London a unique taste of Ibiza. Radio Ice FM is partnered with Festicket, however the booking form for this event has not yet been released to be implemented here. Please use this Festicket link and search for the festival and book the event you’re looking for.